Any wars prevented? Nope. Any genuine progress on advancing human rights in countries in which they are conspicuously absent? Nope. I could go on, but it seems to me that the only “successes” one could conceivably attribute to the UN is the remarkable facility of the United Nations Environment Program (UNEP) to spin scary stories and spawn commissions, committees – and, of course, convene conferences of convolution. international, national and local governance across the world must fully embrace the requirements of a sustainable development future, as must civil society and the private sector. Achieving sustainability requires us to transform the global economy. Following the convenient departure (after the Copenhagen 2009 débacle) of the United Nations Framework Convention on Climate Change (UNFCCC) head honcho, Yvo de Boer whose most recent prediction pales in comparison to that of IPCC-nik and newly-minted British Columbia Green Party candidate Andrew <barrage of intergalactic ballistic missiles> Weaver, the UN head honcho, Ban Ki-Moon, appointed Christiana Figueres to fill his shoes. a Masters Degree in Anthropology from the London School of Economics, and a certificate in Organizational Development from Georgetown University. She was born in San José, Costa Rica in 1956 and is married with two children. Given the fact that climate change is one of the greatest challenges humanity has ever faced, the Kyoto Protocol can only be recognized as preparation for the much deeper and broader engagement that will clearly be necessary after 2012. The Kyoto Protocol was never meant as a solution to the climate change problem. Limited in its targets, timeframe, and participation, the Protocol’s most important success will not be in reaching its objectives – if they are reached – but rather in laying the institutional, legal, and technical groundwork for the future regime. Whether we are effective in dealing with climate change will not depend on the number of greenhouse gas (GHG) reductions achieved by the end of the first commitment period, but rather on whether we can affect the emission trajectories of both industrialized and developing countries post 2012. While the Protocol focuses on tons of GHG to be reduced between 2008 and 2012, in the future we will have to focus on changing emission trends in both industrialized and developing nations. This chapter first identifies six design elements that must be transformed as we move from the current Protocol to the post 2012 regime, shifting the focus from tons to trends. The elements are not independent of each other, but rather interrelated and to a certain extent mutually dependent. The paper then discusses the implications of this shift for the governance of the future regime. Interestingly, the “science” count in this paper is 0; however, the “mechanism” count is 7, “regime” count is 19 and “transform” (and variants thereof) is 9. So, while I’ve no idea what a “climate regime” might be, it seems that Figueres is certainly hooked on “transformation” – if not transubstantiation – of “regimes”. we are inspiring government, private sector, and civil society to [make] the biggest transformation that they have ever undertaken. The Industrial Revolution was also a transformation, but it wasn’t a guided transformation from a centralized policy perspective. This is a centralized transformation that is taking place because governments have decided that they need to listen to science. Alas, it seems that Figueres (and/or her ghost-writer) is yet another unfortunate product of a post-modernist education. 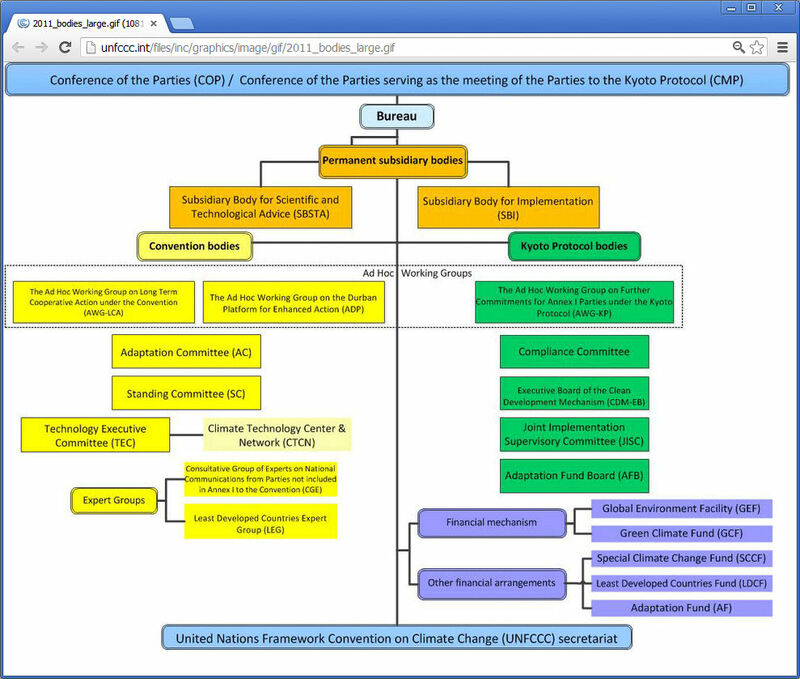 The IPCC is a scientific body. It reviews and assesses, at regular intervals, the most recent scientific, technical and socioeconomic information produced worldwide, relevant to the understanding of climate change. It does not conduct any research nor does it monitor climate-related data or parameters. The COP receives the outputs of the IPCC and uses IPCC data and information as a baseline on the state of knowledge on climate change in making science based decisions. For example, the Fifth Assessment Report of IPCC, which is due in 2014, will provide input into the COP review of the long term temperature goal and the work of the Ad hoc Working Group on the Durban Platform for Enhanced Action. Whatever happened to the IPCC?! Not exactly “prime time” for such a supposedly key foundation for the UNFCCC’s activities, is it?! I can’t help wondering how the “governments” which allegedly constitute the IPCC feel about this?! Choo-Choo is now irrelevant. The Megacrats have determined that the IPCC has gone as fer as it kin go, and they don’t wanna play with Lionel models any more.